Excavations at Mote of Urr, near Dalbeattie in Dumfries and Galloway were undertaken in 1951 and 1953. Hope-Taylor dated the construction and earliest occupation at Mote of Urr to the late twelfth century, with continued occupation into the fourteenth century. The earliest phase of occupation comprised the construction of the motte-and-bailey castle and its apparent destruction by fire, after which a large central stone-lined pit for an oven, furnace, kiln or beacon was dug. The pit continued in use when the motte was heightened in a second phase of occupation and enclosed by a clay bank and palisade. In its final phase, when the motte was heightened yet again, evidence for a possible double palisade enclosing the summit of the motte was found. A trench across the moat around the motte revealed three phases of the ditch and evidence for a timber bridge across the moat. 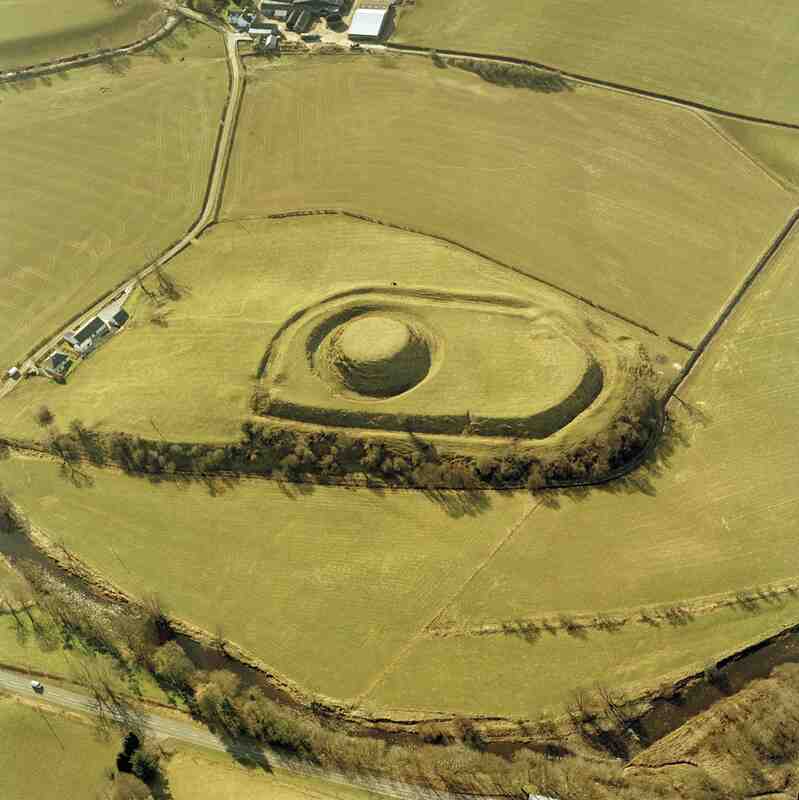 Exhaustive historical investigation by Professor Richard Oram of Stirling University, demonstrates how often the lands of Urr changed ownership between the establishment of the motte in the twelfth century and its decline in the later post-medieval period. The identities of the owners of the site in the thirteenth and fourteenth centuries are only partly known historically. Urr was probably partly destroyed during the Wars of Independence in the early fourteenth century and there is a large gap in the documentary record for the latter part of the fourteenth and first half of the fifteenth centuries, by which time the estate was being rented out to tenant farmers at a relatively low value. The fourteenth/fifteenth-century redware pottery on which the dating hangs cannot therefore be linked to particular known historical figures or events but does concur with the documentary evidence of continued use of the site during this period. The full results of this research, which was funded by Historic Environment Scotland, ARO31: Brian Hope-Taylor’s archaeological legacy: Excavations at Mote of Urr, 1951 and 1953 by David Perry with contributions by Simon Chenery, Derek Hall, Mhairi Hastie, Davie Mason, Richard D Oram, and Catherine Smith is freely available to download from the ARO website – Archaeology Reports Online. Top Image: Aerial photograph of Mote of Urr. © Historic Environment Scotland.